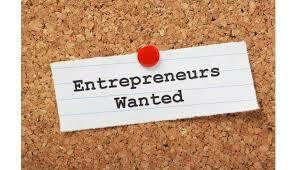 Youth Workers to advocate entrepreneurialism, to become today’s Careers Advisers? The effort to to redefine youth work continues apace. Nowadays paid youth workers, if they’ve still got a job, are the Jacks and Jills of all trades. Youth social work, youth justice. pastoral care, play and recreation – the list goes on. The latest addition, the latest dilution of our distinctiveness, comes courtesy of the NYA’s contribution to a Tory Party fringe meeting. According to a CYPN report the deputy chief executive of the NYA argued, ‘train youth workers to support young entrepreneurs’. Not surprisingly his proposal that “we think youth workers need better training to think about how they can support young people to be more entrepreneurial” went down well with his audience. Conservative MP, Chloe Smith, who heads up a NYA Commission into enterprise and young people, exclaimed “this is a great opportunity to enable youth workers to do something new”. However, whilst ostensibly supporting the idea, Councillor David Simmonds, chair of the Local Government Association’s children and young people board, exposed its confused and contradictory character. He noted, “one of the criticisms that comes back from young people is how fragmented careers advice is – the system is completely different in Cornwall than, for example, Teeside.” Rather than youth work what we are discussing here is the provision of careers support and guidance. As it is Simmonds is only too happy to suggest “we need to have a coherent national strategy around that [supporting young people to develop social enterprises] and for the youth work profession to develop into that role would be fantastic.” And thus in this fantasy the Youth Service is transformed into the Careers Service – forgive me using such old-fashioned notions, but you get my drift. Let me pose a few issues to ponder. 1. There used to be a local education authority structure, within which Schools, FE Colleges, the Careers Service and the Youth Service worked together, in partnership to use today’s buzz-word. It was far from perfect, but in some places it worked very well. It was a structure to be improved, not demolished. At its best, within it, the youth worker’s strength was her relative autonomy and the absence of a prescribed agenda for her work. Young people knew that she was the person in the jigsaw with no statutory axe to grind, with no predetermined notion of what the young person might identify as needs or priorities. This meant sometimes she was very involved in a young person’s concerns about their future careers, about being unemployed, but only as this need emerged out of her relationship with the young man or woman. In no way was preparation for work or indeed enterprise the raison d’etre for her practice. 2. This attempt by NYA to ‘careerise’ our work is profoundly ideological. In arguing for youth workers to become the teachers of entrepreneurialism the NYA swallows whole a neo-liberal agenda, which over recent decades, has created a generation of young people with little in the way of a future. Even as I write the Tories impose even greater austerity measures, targeting in particular youth. Young people will be banned from receiving housing benefit until they are 21 and those between 16 and 21 out of employment six months will be forced to do ‘community work’ in return for benefits. Given this stifling scenario what price the chances of many so-called ‘disengaged’ young people breaking through to set up their own social enterprises? Inevitably there will be some individual successes, but what does this really mean in the wider picture? 3. For a moment it’s revealing to ask why hasn’t the NYA set up a commission to look at public service and young people? Why are we not hearing a NYA spokesperson call on youth workers to train young people to become public servants, to become teachers, nurses, refuse collectors …..indeed, even youth workers, contributing to the common good? Whilst these questions are utterly legitimate, they may seem naive. Some would argue that it’s impossible for the NYA to adopt a more critical relationship with the government and the private sector. Yet what risks would the NYA have been taking, if alongside its commission into enterprise and young people it had run a commission looking at public service and young people. At the very least the latter commission would have thrown up a differing perspective on the qualities needed to be a prospective ‘public servant’ as opposed to ‘entrepreneur’. Instead of the Young Foundation-derived emphasis on being a resilient individual favoured by the NYA we would have to explore the enormous significance for the individual of collective solidarity, collective resistance and collective obligations. Lest I be misunderstood I’m not advocating that youth workers do mount specific training programmes focused on becoming a public sector employee!! This would be bizarre. It would run counter to our insistence that youth work is relational, conversational and negotiated, starting from young people’s definitions of their worlds. What I am questioning is the continuing abandonment of this distinctive tradition by those, who should be in the forefront of its defence.